6:02 PM PT — Our sources are clear … this appears to be gang-related to the law enforcement officers that are working the case. 5:12 PM PT — Our law enforcement sources tell TMZ … Nipsey Hussle has died. He was 33 years old. He’s survived by his two children and his girlfriend, Lauren London, with whom he just had a child in 2016. 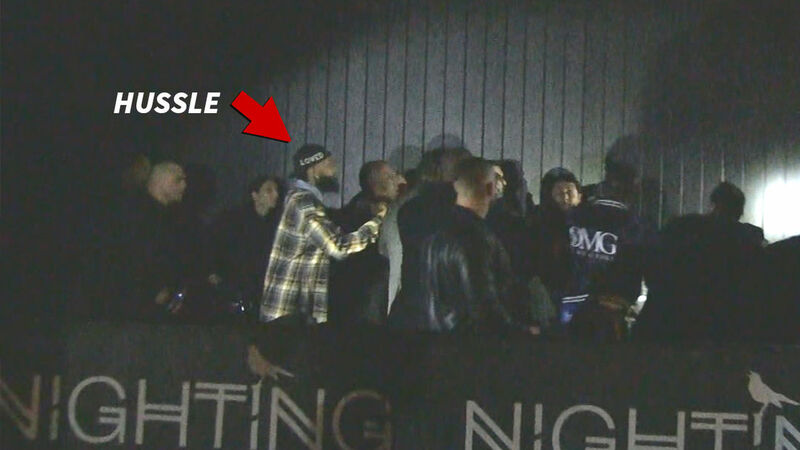 Nipsey Hussle was just shot in LA … TMZ has learned. Multiple sources tell us the rapper was gunned down Sunday in the Hyde Park neighbourhood of Los Angeles, south of the Crenshaw area. We’re told he was at his clothing company called the Marathon Store. He opened the place back in 2017. Nipsey Hussle Reportedly Shot 6 Times In Front Of His Store ..
His condition is unknown at this point. Eyewitnesses in the area say they heard multiple shots fired. Nipsey — who’s from the Crenshaw area of LA — is said to have ties to the Crips. That hasn’t stopped him from working with artists who have rival gang affiliations … he’s made music with both YG and The Game — both of whom have been tied to Bloods. He’s released multiple mixtapes over the course of his 10-plus year career but just dropped his first studio album last year. It’s called “Victory Lap” … which got him a Grammy nod for Best Rap Album just a month ago. Nipsey lost out to Cardi B at the award show.